In Loving What Is, bestselling author Byron Katie introduced thousands of people to her simple and profound method of finding happiness through questioning the mind. Now, I Need Your Love—Is That True? examines a universal, age-old source of anxiety: our relationships with others. In this groundbreaking book, Katie helps you question everything you have been taught to do to gain love and approval. In doing this, you discover how to find genuine love and connection. 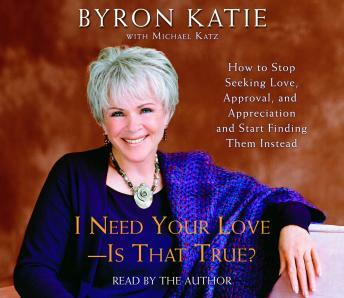 I've listened to Byron Katie before and watched videos of her. She is definitely not the narrator of this book and it affect the message of the book.